The “medicalization” of public health systems receives the bulk of funding yet socio-economic determinants of health play an equal, if not increased, role in determining population health. How public health agencies use funding to provide public health services is a huge concern not only for every public health practitioner but also for every citizen. The Trust for America’s Health (TFAH) 2013 report provides an overview to the recent expenditures of the states’ public health services funding, examining the advantages and disadvantages on such expenditures. The TFAH report gives an overview of how the health services expenditures of both federal and state are distributed (latitudinal direction) and how these amounts changed in the recent years (longitudinal direction). The major findings include both federal and state funding has been cut to inadequate levels in recent years, and there is wide variation in health statistics by state. For example, the amount of federal funding spent to prevent disease and improve health in communities ranged significantly from state to state, with a per capita low of $13.72 in Indiana to a high of $53.07 in Alaska. It is now considered more and more important to create a disease prevention mechanism, for example, the new Prevention and Public Health Fund provides $12.5 billion in mandatory appropriations over 10 years to local communities to improve health and reduce illness rates, which included Community Transformation Grants (CTGs) to allow local communities to tackle their most serious problems, including obesity and tobacco, using evidence-based prevention programs tied to strict performance measures. Much research has been done by local public health agencies revealing the change of expenditures of funds on medical services in recent years. Massachusetts is a prime example, HPC (Health Policy Commission) 2013 and AGO (Office of Attorney General) 2013 showed that high health care costs are driven primarily by provider prices, which vary significantly among providers within individual payer networks as well as across the commercial market overall and there is evidence even showing such increment of price is not predicted by quality of care. Also in CHIA (Center for Health Information and Analysis) 2013 and AGO 2013, the authors argued that market leverage of providers influences health care costs in a cyclical process by determining provider prices, payments, and patient volume. Because of this, policy makers have drawn attention to the trend of provider consolidation and its potential impact on market leverage and health care costs. There are many socio-economic determinants of health, some of which are being addressed and some which could use increased advocacy. Overall, the U.S. performs well in having policies that ensure an equitable right to work for all racial and ethnic groups, regardless of gender, age or disability (Heymann 2004). The U.S. is also one of 117 countries guaranteeing a pay premium for overtime work. However, the U.S. lags behind many other countries in addressing socio-economic gradients of health. For example, the U.S. guarantees neither paid leave for mothers nor paid paternity for fathers in any segment of the work force; moreover, the U.S. does not guarantee the right to breastfeed, even though breastfeeding is proven to reduce infant mortality. The U.S. also lacks a maximum length of the work week, a limit on mandatory overtime per week, and provides only unpaid leave for serious illnesses and family care through the Family Medical Leave Act (FMLA), which does not cover all workers. In order to address health disparities caused by modifiable socioeconomic determinants of health, we prioritize three key issues needing advocacy in the health policy arena: mandatory paid sick leave, minimum (aka “living”) wage laws, and access to cost effective nutritious foods. In order to change public health priorities there needs to be a political will to act; this is not always the case when dealing with socioeconomic determinants of health as they are often complex, multi-faceted issues whose outcomes may take a lifetime to track (Kelly 2007). Because health policy making can be a rapid action environment driven by competition for usually scarce resources coupled with pressure from the public, there is a need for evidence-based, sustainable strategies. Health impact assessments (HIA) can facilitate the shift to public health policy to help develop a comprehensive action plan addressing social determinants of health. These assessments provide an overarching analysis of the issue in political, social, and community contexts, examines cost/benefits analysis, and lays out options for action. Sick leave: Staying at home when infected could reduce by 15–34% the proportion of people impacted by pandemic influenza (HIP 2009). Without preventative strategies, more than 55,000 people in the state could die in a serious pandemic flu outbreak. Minimum wage: A living wage was estimated to result in decreases risk of premature death by 5% for adults and for offspring, a 34% increased odds of high school completion, and a 22% decrease in the risk of early childbirth (Bhatia and Katz 2001). Without a living wage, workers have increased adverse health outcomes contributing to health care burden and are less sell-sufficient requiring public assistance. .
Access to healthy food options: Access to affordable, healthy foods help citizens of low income communities to consume a healthful diet and maintain a healthy weight, reducing their risks of heart disease, hypertension, diabetes and cancer (PPS). Without access to fresh produce in low-income communities, reduction of nutrition-related heart disease, hypertension, diabetes and cancer will not be adequately addressed. Health impact assessments are a tangible, actionable tool to assist policy makers in shifting their public health policy focus to address socioeconomic determinants of health a top priority. The American Public Health Association (APHA) enacted the Public Health ACTion campaign (PHACT) in order to generate advocacy groups and actions to reach out and communicate directly with Congress and government officials about public health issues in order to make a difference. The PHACT campaign action kit is designed to be a starting block for anyone who wishes to either make a difference themselves or organize a group to do so together. The thinking is that the more people who commit to these actions and reach out toward members of Congress, the more positive change we may see. The action kit starts out with a timeline for 2014 corresponding to important congressional dates and what actions can be taken at each step of the way. This is a great way to get an overall picture of this year’s campaign and organize what actions need to be accomplished and when. The campaign takes place mostly in the summer and the plan outlines the three areas of focus for 2014: protecting public health funding, protecting public health funding under the ACA, and stopping gun violence. The fact sheet details the reasons why these areas were chosen and goes into what actions correspond to each area of focus. A ten-minute long phone script is provided after each focus so that a single advocate can call Congress to share these issues. Lastly, the campaign action kit outlines various other ways of taking action. These include getting a group of a few people and organizing a meeting with members of Congress to deliver a target message and discuss these issues. Using social media, letters to the editor or an op-ed to deliver messages are also discussed. This action kit provides a well-rounded approach to presenting target public health issues to Congress and to the public so that our voices can be heard. Fries JF,Koop CE,Beadle CE,Cooper PP,England MJ,Greaves RF,Sokolov JJ, andWright D., Reducing health care costs by reducing the need and demand for medical services. The Health Project Consortium. N Engl J Med.1993 Jul 29;329(5):321-5. Health Policy Commission. 2013 Cost Trends Report (2013). Available at http://www.mass.gov/anf/docs/hpc/2013-cost-trends-report-final.pdf. Retrieved on March 11, 2014. Heymann, Jody, Jeffrey Heyes, and Alison Earle.The Work, Family, and Equity Index: How Does the United States Measure Up?. McGill University, Institute for Health and Social Policy, 2008. Kelly, M.P., et al. The social determinants of health: Developing an evidence base for political action (2007). World Health Organization, Geneva. Market (August 2013). Available at http://www.mass.gov/chia/docs/r/pubs/13/ar-ma-health-caremarket-2013.pdf. Retrieved on March 11, 2014. Office of Attorney General Martha Coakley. Examination of Health Care Cost Trends and Cost Drivers – Report for Annual Public Hearing (April 2013). Available at http://www.mass.gov/ago/docs/healthcare/2013-hcctd.pdf. Retrieved on March 11, 2014. Most people associate public health with health care and medical professions. But public health is a much broader field than that, spanning multiple disciplines. So shouldn’t public health policy reflect this? Much of public health policy is aimed at increasing access to health care for certain populations, providing health screenings, or other medicalized solutions. While these solutions are helpful, perhaps the public would be better served by combing them with policies that target social, economic, or environmental causes that contribute to the health gap that exists in today’s population. The WHO defines social determinants of health as “the conditions in which people are born, grow, live, work and age.” Social determinants of health are influenced by the distribution of wealth, power, and resources and lead to health inequalities between subgroups in a given population. If we want to decrease health inequalities, we need to shift the priorities of public health policies. You might be wondering how you can affect this kind of change. The key is to be vocal, which you can do in several ways. First, and perhaps most simply, you can use social media to get others informed and involved in shifting public health priorities. Like, comment on, or reblog public health blogs that advocate for the adoption of social determinants of health into health policies. Second, you can write op-ed articles, call in to local radio stations, or write letters to the editor to raise the awareness of the importance of social determinants of health and health inequalities. Third, you can send letters to your legislators. There are multiple sites that provide form letters, such as this site, or you can write your own letter. Here is a good reference for actions you can take to reach out to your legislators. "Recommendations to Change Public Health Priorities." UKEssays.com. 11 2018. All Answers Ltd. 04 2019 <https://www.ukessays.com/essays/health/recommendations-change-public-health-9468.php?vref=1>. "Recommendations to Change Public Health Priorities." All Answers Ltd. ukessays.com, November 2018. Web. 25 April 2019. <https://www.ukessays.com/essays/health/recommendations-change-public-health-9468.php?vref=1>. UKEssays. November 2018. Recommendations to Change Public Health Priorities. [online]. Available from: https://www.ukessays.com/essays/health/recommendations-change-public-health-9468.php?vref=1 [Accessed 25 April 2019]. UKEssays. Recommendations to Change Public Health Priorities [Internet]. November 2018. 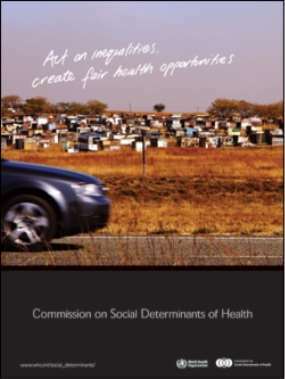 [Accessed 25 April 2019]; Available from: https://www.ukessays.com/essays/health/recommendations-change-public-health-9468.php?vref=1.